Know your Competitors SEO Mistakes! Rank your Website Fast! 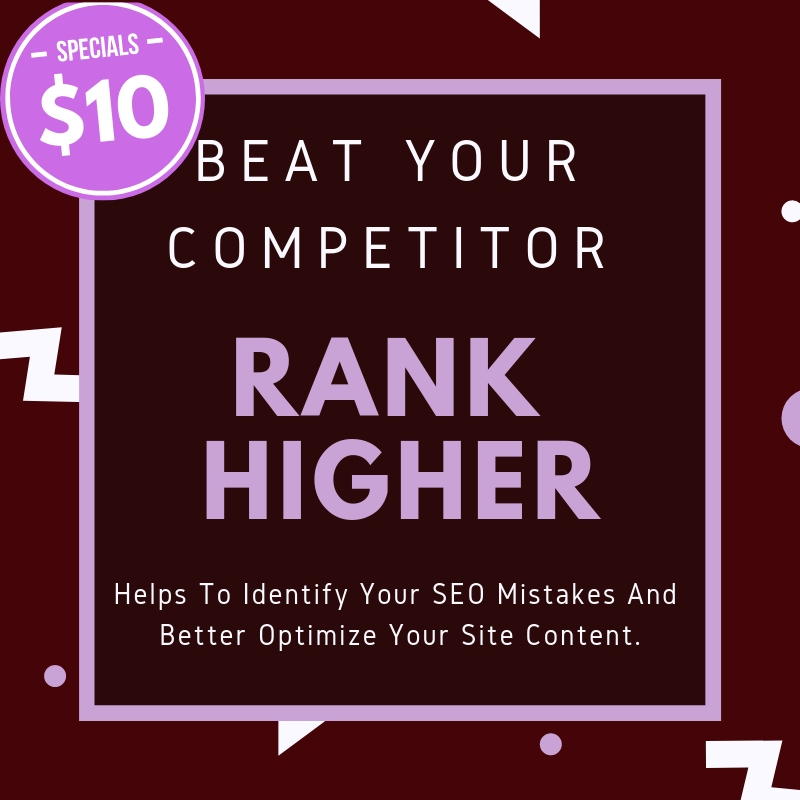 Helps To Identify Your / Competitor SEO Mistakes And Better Optimize Your Site Content or Take Advantages of Competitor Mistakes for Rank Your Website Higher. Complete Website Audit on more than 40 Parameters with suggestions on how to resolve errors. If you have any more question, please inbox me.